One Eternal Day: "The most valuable magazine in the world"
Conan Doyle's earliest Sherlock Holmes stories were not particularly successful. Michael Dirda explains how they came to be written, why Conan Doyle didn't believe they were his most important work, and how, nevertheless, they and the subsequent stories made his characters famous and enduring. 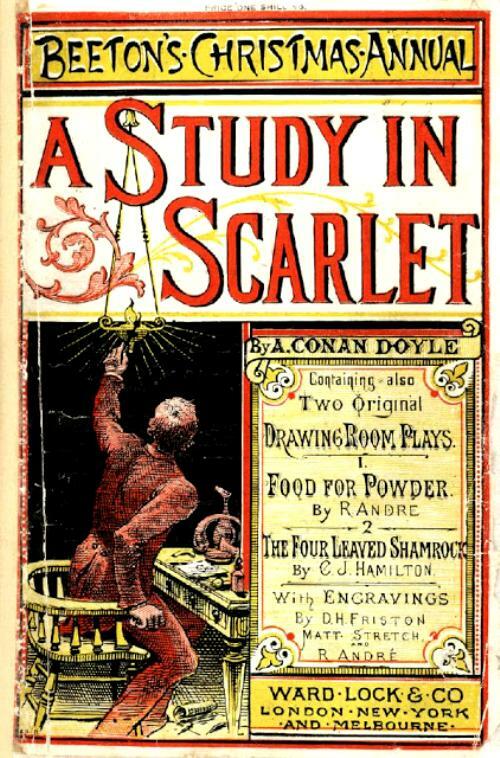 .... A Study in Scarlet was turned down by one publisher after another, until it was finally accepted by Ward, Lock, and Co., who offered to buy the British copyright for a derisory twenty-five pounds. Out of desperation, Conan Doyle took the paltry sum, then still had to wait a year before his short novel came out in Beeton’s Christmas Annual for 1887. Today, that annual may be the most valuable magazine in the world. Only thirty-three copies are known to exist and many are tattered or incomplete. If a truly fine copy were to appear on the market today, it might bring a quarter of a million dollars or more. 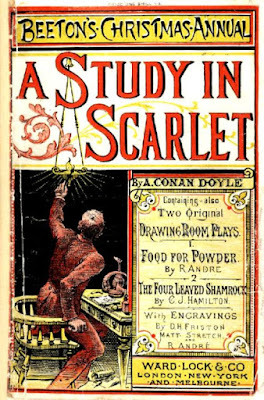 The 1887 Beeton’s containing A Study in Scarlet sold moderately well, and the novel was later republished as a book, with rather crude illustrations by Conan Doyle’s artist father. And that was all. There was no great hoopla, no recognition of a new star in the nascent detective story firmament. Yet from the first page, Conan Doyle’s storytelling mastery—the genial narrative voice, the fast-moving action—sweeps the reader along. In short order we learn that John H. Watson has been an army doctor, was grievously wounded at the battle of Maiwand in the Second Afghan War, and now, broken in health, has wearily returned to England. One day he encounters an old acquaintance who tells him about a chap looking for someone to share digs with in Baker Street.